As you may know, Emily’s Someone Else’s Fairytale was the first and only chicklit I have read (You can find my review here). And, she writes fantasy and science fiction besides chicklit! I have no idea what was going on in my mind, LOL. But, I seem to have liked the book, so I was quite interested in finding out more about this wonderful and multi-talented writer. Here’s a tidbit I learned from talking to her. She knows Orson Scott Card. Yes, personally! So, lets dive in to find out more! Describe your books? What genre would you classify it into? I write light romance or chick lit, which to me means I do happy endings, and thus spend most of my writing time trying to devise twists and turns that will keep the reader interested and an ending the audience wants, but not in the way they expect. Those are the ideals I strive for, at least. How did you come up with the idea for Someone Else’s Fairytale? I was browsing entertainment headlines and not really understanding what all the hype was about. It occurred to me that if I got hit on by a celebrity, that could complicate my life, and that was the genesis of this idea, an ironic take on fairytales. I’ll start by saying that this is the first chicklit/romance book I have ever read and I had no idea what to expect from this genre. I have nothing to compare this book to, so this is an absolute rating. I really don’t know how fair that is. So, I’m going to tell you whether I liked the story, and whether the book met the expectations I set for every book I read. The premise of the story is quite simple. Boy meets girl. They become friends. They finally fall in love and live happily ever after. Even with this rather generic premise, I liked the story due to two reasons. One, there is a major twist to this basic premise. And two, the author has done a terrific job at fleshing out the characters. Thank you everyone who entered the giveaway! The giveaway is now closed and the winner will be contacted by the author! Well, I’m trying something new here. 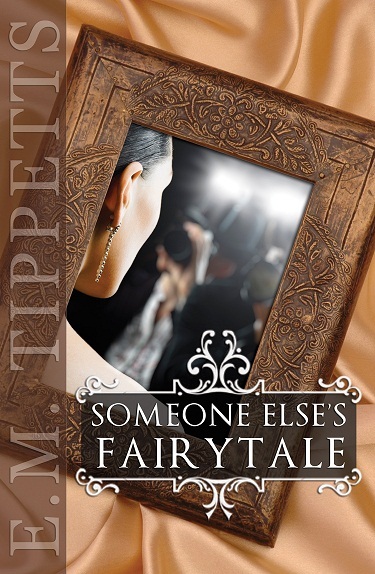 As part of the Valentines Day celebrations, I will be giving away 2 (TWO) signed eBooks of Someone Else’s Fairytale by E.M. Tippetts. That is right, eBooks signed by the author! If this is not tantalizing enough, read about the book below, and it’ll have you convinced! If you’re not convinced about the book, read my review here. It’s really simple to enter, just read the instructions below, and join the celebrations! Your name and email address ensure 1 (one) entry. Following me on twitter gives you 1 (one) additional entry. ‘Liking’ my Facebook page gives you 1 (one) additional entry. Following this blog by email gives you 2 (two) additional entries. Following me on Networked Blogs gives you 2 (two) additional entries. Only your name and email are required and ensure you an entry. All others are optional and get you additional entries in the giveaway. If you are already doing any of the above, just leave your details below, including you twitter username, Facebook name if different and email you used to follow me, and you will receive the extra entries. I will notify the author of the winner, and will pass your email address to her. The author will contact the winner. It is the responsibility of the author to ensure that you receive your book. If you do not receive your book in 15 days, please let me know.